The cooling of living and working spaces requires a lot of energy – building cooling in the US alone accounts for 4.3 quads per year. There’s a dire need for innovative cooling solutions that could lead to greater energy savings. 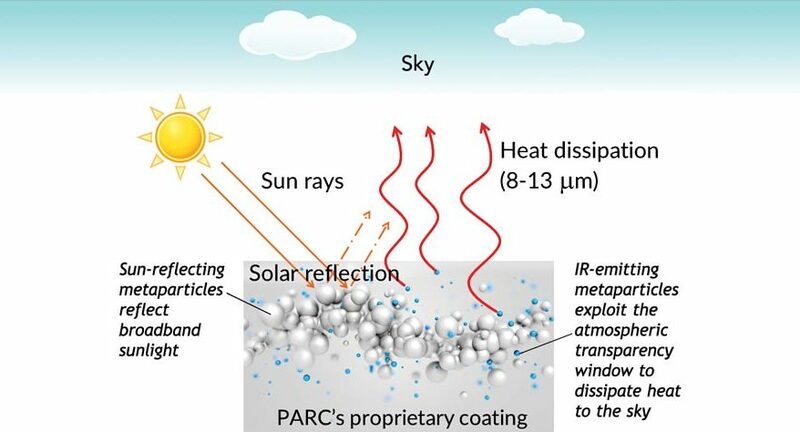 PARC has developed a “self-cooling” paint that cools down any surface up to 10 ºC (18 ºF) below ambient air temperature. This is accomplished by engineering a paint combining a high solar reflectance with a high emittance in the sky transparency window. Compared to competing passive radiative cooling technologies, PARC’s self-cooling paint combines high cooling performance with ease of application. PARC’s spray-on solution is the first of its kind and represent a significant departure from other more complex radiative cooling schemes. 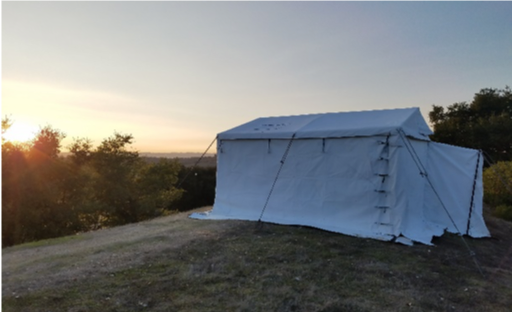 The paint has been field-tested on a variety of surfaces including aluminum, steel, carbon fiber composites and flexible tent canvas. The demonstrated performance is similar to competing technologies based on selective emitters in the sky transparency window and broadband solar reflectors, with a cooling power during daytime in summer on the order of 100 W/m2. PARC’s passive radiative cooling paint has been tested for building and automotive applications, but can be tailored for any application in which a paint can be used including power plant modules, spacecraft, and military tents and supplies in hot climates. Read more about our self-cooling paint by downloading our Information Sheet. Many surfaces emit more thermal infrared radiation between 8 to 13 µm than they absorb from the sky. This imbalance can cool the surface below ambient air temperature. However, achieving sub-ambient temperatures during daytime, when cooling is required the most, also requires also achieving solar reflectance higher than 95%. Combining this high solar reflectance with selective infrared emittance requires engineered materials that up until now have not been available or manufacturable at a reasonable cost.